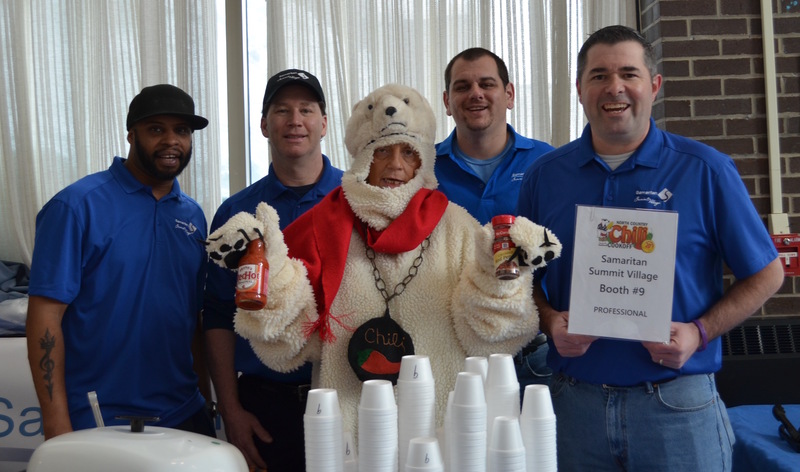 The 20th Annual North Country Chili Cook-off was held Saturday, Feb. 2, at the Dulles State Office Building, with 26 teams competing for top bragging rights and cash prizes. The annual event is hosted by the Jefferson County American Legion Auxiliary and Legion Family to benefit the Volunteer Transportation Center, Inc. In addition, taking home top bragging rights in the Vegetarian category was the Carthage Revolution team. The 20th Annual North Country Chili Cook-Off received the support of many local sponsors, including Underwriting Sponsors Watertown Savings Bank, Stewart’s Shops, Fidelis Care, Purcell Construction Corp., United Food Service Operators, Tunes 92.5FM, the Watertown Daily Times, and WWNYTV7/WNYF28/MeTV. Proceeds will help fund medical transportation for local veterans and their families through the Volunteer Transportation Center, Inc.